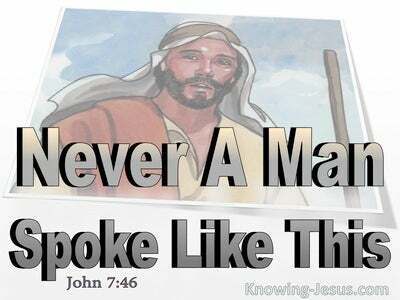 What Does James 2:26 Mean? In the final section of chapter 2, James presents a step-by-step argument on the essentials of our faith, and the connection between faith and works. His teaching, that we are justified by works, appears to contradict that of Paul, who insists we are saved by faith alone. But on closer inspection we find there is no contradiction. Paul's is referring to initial salvation, where we are justified in the eyes of GOD - by our faith, while James is talking about our ongoing salvation, where we are justified in the eyes of MAN - by our works. We are saved by faith... BUT good works should flow from that faith. We are not saved BY works, but we are saved FOR works. We were justified in the eyes of God when we first believed, but after salvation and we are justified in the eyes of men when we produce good works.. because of our faith. Paul and James are in total agreement, but one is viewing justification from God's perspective and the other from a human viewpoint. As his treatise unfolds, James uses Abraham's offering of Isaac and Rahab's actions in protecting the Israelite spies to prove we are justified by works. Both instances took place after these individuals believed in God and were credited with righteousness. Abraham believed God's promise and was justified in God's sight in Genesis 15 - but many years later, when he offered Isaac, in Genesis 22, He demonstrated to us that he was justified, by producing a work of faith. Rahab had obviously trusted in God before the spies entered Jericho and by what she said and what she did. She feared God and protected them and demonstrated her faith through her deed. Her good work did not redeem her but flowed from her faith, which was perfected by these works and resulted in spiritual growth. 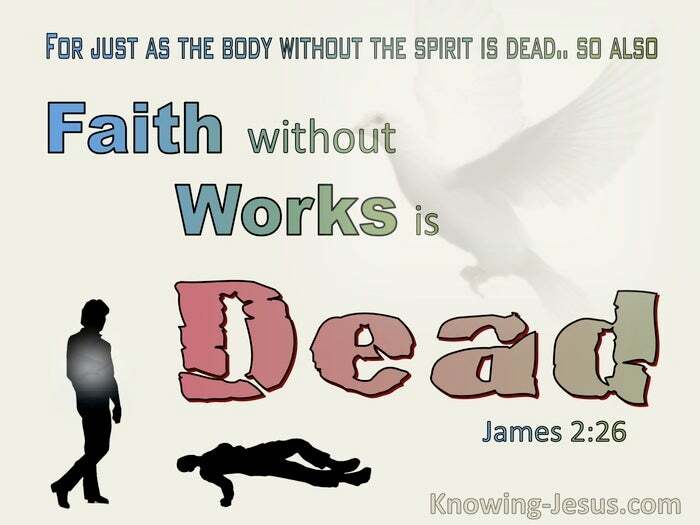 James continues to use Abraham and Rahab in his ongoing reasoning on the close connection between faith and works, by saying: "just as the body without the spirit is dead, so also faith without works is dead". James argues that faith without works is a useless, unproductive and fruitless faith. 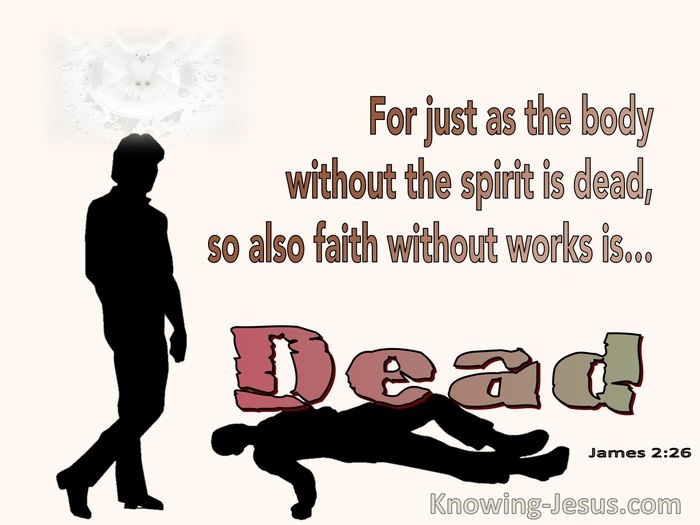 Just as a dead body can't be productive, neither can one's faith be of value when one does not carry out good works. Faith that does not produce works is like a lifeless body.. which is incapable of doing anything! A corpse does not have the breath of life within its frame and cannot perform any actions - and in the same way a man that has faith in God but does not produce good works is as useless as a human body devoid of a human spirit, and has no practical value. It has been rightly suggested that faith without works is nothing more than "dead orthodoxy" or the display of an ineffective, barren doctrine. A believer who is not carrying out good works has not lost their salvation, nor are they bound for hell, as some like to suggest. 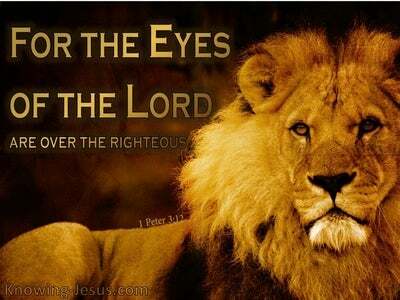 However, they are not living the victorious life that the Lord desires for all His children. They are not living in a way that honours their heavenly Father and could land themselves under His discipline - for he chastens all he loves, when they fail to carry out His will for their life. They are not applying the Word of God in their life. They are not walking in spirit and truth, but living a fruitless and useless life that is a poor testimony, and dishonours the Lord Who bought them. 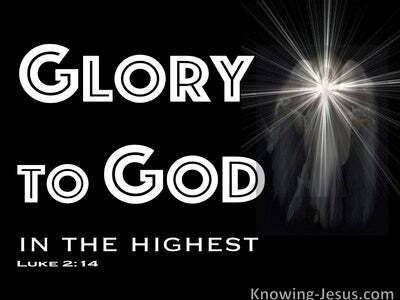 God began a good work in each one of us when we were saved BY faith, in order for us to DO good works for His glory! 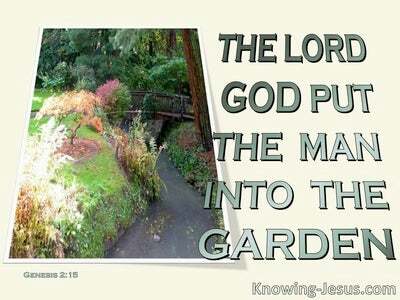 As Christians we are the product of God's workmanship. He made us alive in Christ Jesus, by faith... for works - for the specific purpose of doing good deeds, "which God has already prepared for us to do" - and we are even promised a reward for the good works, He has prepared for us to do... and which we carry out in His strength. May we work the works of God for His greater purpose and glory. Heavenly Father, thank You that by Your grace I have been made alive in Christ and have the Holy Spirit living within, Who breathed His breath of life into my dead spirit, the moment I trusted Christ as my Saviour. I pray that my faith may be a living faith that produces the good works that You have prepared for me to do, and is not a dead, fruitless faith, and I pray that others may see Christ living in me and working through me.. so that Your name would be glorified by my life - this I ask in Jesus' name. AMEN.